Dani Golub is a Yahoo Lifestyle video producer. She loves all things pop culture, especially TV shows like "The Office," "The Bachelor," and "Big Little Lies." You name the episode, she probably has seen it, and definitely loves to talk about it. Her passion for, and education in, broadcast journalism has led Dani to work for E! News, NBC, CNN, and more. 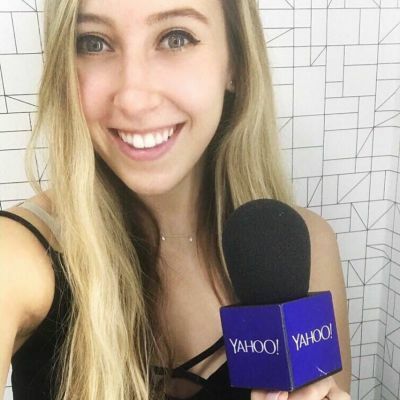 Outside of Yahoo, Dani covers red carpets and hosts podcasts/entertainment news shows for a variety of outlets including anchoring various AfterBuzz TV panels. In Hollywood at the Dolby Theatre, the Academy is preparing for the big night Sunday, when the 91st Oscars ceremony will be held. How well do you know the British royal family line of succession? Who’s in line to inherit the British throne? We’ve got the answers. When it comes to singing, no one can belt it out like Ariana Grande — but that’s not all that she's known for. Her style also hits all the right notes and turns heads wherever she goes. Yahoo Entertainment got a behind-the-scenes sneak peek at all Grinchmas has to offer, and we can assure you that your heart will grow three sizes during your visit. The celebration features three musical shows, delicious treats, a magical tree lighting and fun activities for Whos of all ages. The Woolsey Fire has damaged Camp Hess Kramer and Gindling Hilltop camp, two Jewish summer camps owned by Wilshire Boulevard Temple, which have been in the hills of Malibu for over 65 years. Corey Calliet refers to himself as a body transformation specialist and has described the process of training Jordan as similar to an artist taking a chisel to a block of marble. Hamlet is a therapy pig for her “mom” Melanie Gomez, who was diagnosed with epilepsy while in college, and when her seizures got worse, she decided on a companion. Disneyland is trading in magic for mischief and rolling out its spookily scrumptious Halloween treats. The CW’s “Riverdale” is a shipper’s paradise. Whether you are dying for Betty and Archie to finally be together or are living for the Cheryl and Toni storyline, if you watch Riverdale, you are definitely having all the feels. When Tanja Brandt first brought owls home to recover after they had suffered falls or traffic injuries, she saw how caring Ingo was with them and began documenting their adventures. Some of Hollywood’s biggest stars found their true loves far outside the spotlight. Here are several of our favorite pairs. If you’re looking for the ultimate love story, look no further than Kristen Bell and Dax Shepard.